Scott Morrison is now the fifth Prime Minister to deliver a Closing the Gap Report to parliament – the 11th since the Strategy began in 2008. Closing the Gap has aimed to reduce disadvantage among Aboriginal and Torres Strait Islander people, with particular respect to life expectancy, child mortality, access to early childhood education, educational achievement and employment outcomes. Below are four lessons from the last decade of the policy. Some targets are easier than others. The targets where there has been some success tend to be those where the government has more direct control. Consider the Year 12 attainment compared to the employment targets. To increase the proportion of Indigenous Australians completing year 12, the Commonwealth government can change the income support system to create incentives to not leave school, while state and territory governments can adjust the school leaving age. This is not to downplay the efforts of parents, teachers, community leaders, and the students themselves. But, there are some direct policy levers. To improve employment outcomes, on the other hand, discrimination among employers needs to be reduced, human capital levels increased, jobs need to be in areas where Indigenous people live and to match the skills and experiences of the Indigenous population. These are solvable policy problems with the right settings and community engagement. But they are substantially more complex. The life-expectancy measure is unpredictable. The main target has always been related to Aboriginal and Torres Strait Islander life expectancy. 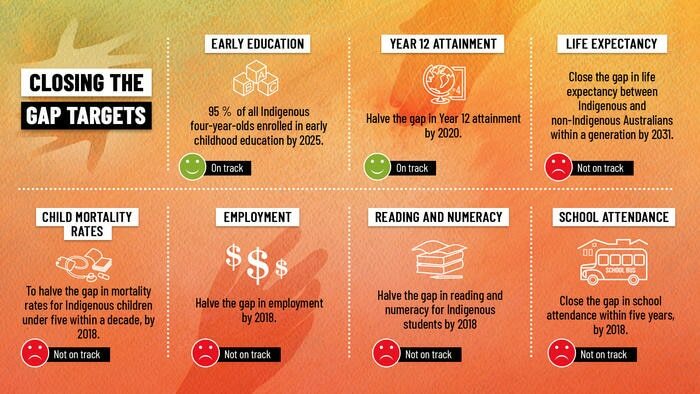 The 2019 report shows the target of closing the gap by 2031 is not on track. Unfortunately, the life expectancy target is one of the more difficult to measure, as it uses multiple datasets that are potentially affected by changing levels of identification and different ways Indigenous people are being counted in the census. More people have been identifying as being Aboriginal and/or Torres Strait Islander over recent years. What’s more, these newly identified Indigenous people tend to have better outcomes on average, across health, education, and labour market outcomes, than those who were identified previously. This biases our estimates, making it appear that there is more rapid progress than there might otherwise be. The Closing the Gap framework was implicitly designed around improving the circumstances of the 2008 Indigenous population relative to the 2008 non-Indigenous population. However, both populations have changed substantially over the intervening years, as there has been growth of the non-Indigenous population due to international migration. It is hard to measure and track differences in changing populations. On-track one year, off-track the next. There is also the yearly reporting cycle. The target of child mortality, for instance, no longer appears to be on track. This is despite it being on track in previous years. Yearly fluctuations make it hard to gauge the effectiveness of long-term policy settings. For other indicators, such as employment, the data is available far less frequently than it could be, so we are less able to judge the effect of individual policies and interventions. However, the sophistication and nuance with which data in the Closing the Gap reports have been presented have improved considerably. It seems most policies prioritise Indigenous Australians living in remote areas than those in the city. Indigenous Australians in the city and country have different needs. This isn’t always reflected in policy settings. The current report shows many outcomes are worse in remote compared to non-remote Australia. It also makes the point that the vast majority of Indigenous Australians live in regional areas and major cities. This creates a tension between relative and absolute need. Unfortunately, the policy responses of government often don’t get that balance right. Take the signature policy proposal announced with the current report – a suspension or cancelling of HECS debt for teachers who work in remote schools. What the policy ignores is that the vast majority of Indigenous students live outside remote Australia and that outcomes for Indigenous students in non-remote areas are well behind those of non-Indigenous students. 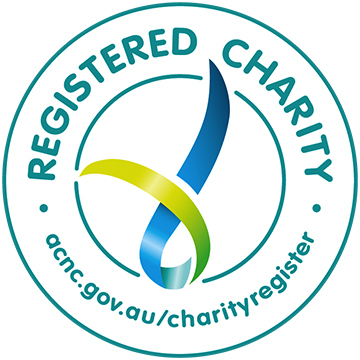 The current report and speech by the Prime Minister states that “genuine partnerships are required to drive sustainable, systemic change” and that the government needs “to support initiatives led by Aboriginal and Torres Strait Islander communities to address the priorities identified by those communities”. These are admirable goals. But they require significant resources, a genuine engagement with the evidence, even if it isn’t positive, taking the Uluru Statement from the Heart seriously, and really ceding control to Aboriginal and Torres Strait Islander peoples.